Diese Mandolinenschule in 3 Bänden wurde Anfangs des 20. Jahrhunderts in den USA von William C. Stahl veröffentlicht. When I returned to England I found some old Mandolin Method books in a charity shop. I have looked at all your web pages and also the excellent timeline but cannot find the books that I have described below. 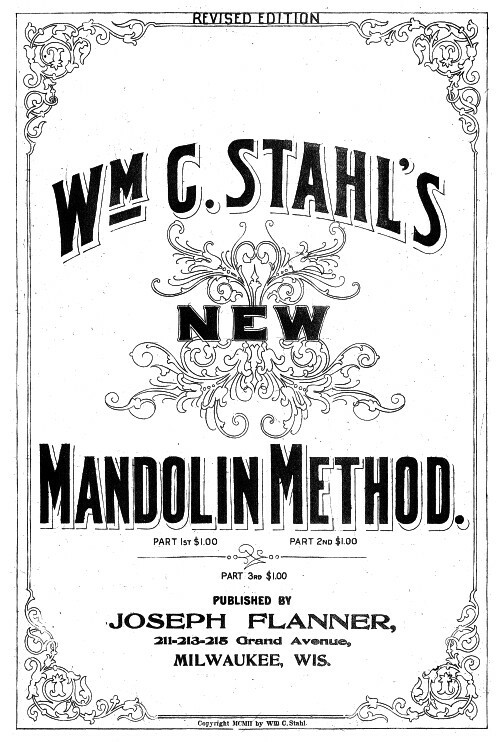 The title: Wm C. Stahl's NEW Mandolin Method - 3 parts. They say on the cover Revised edition and Latest Revised edition but the dates inside are copyrighted MCMIII (1903) and MCMXII (1912) respectively and part 3 is MCMVI (1906). 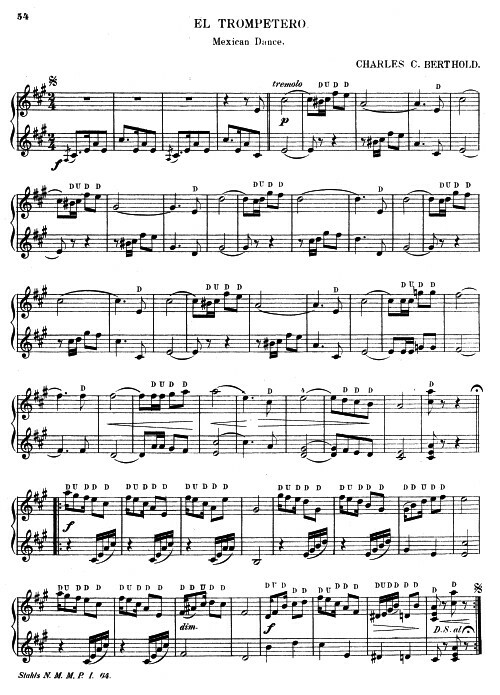 William C. Stahl was born in 1869, and became interested in music at an early age. He learned to play banjo and, while still a teenager, composed a banjo solo that was published by S. S. Stewart. Music became his profession, and after teaching for a few years he established a company in Milwaukee that manufactured instruments and published music. He claimed to be the first maker of tenor banjos. 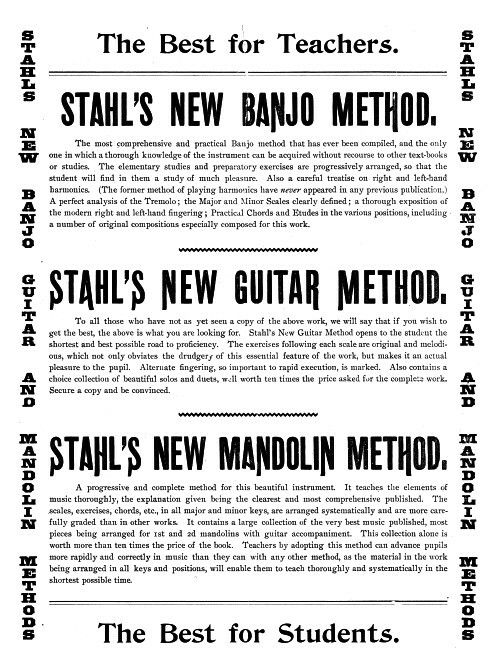 In addition to the instruments Stahl built, he also had them built by other companies, including the famous Larson Brothers, under the Stahl name.